Thai court finds British activist guilty of defamation - We Resist. 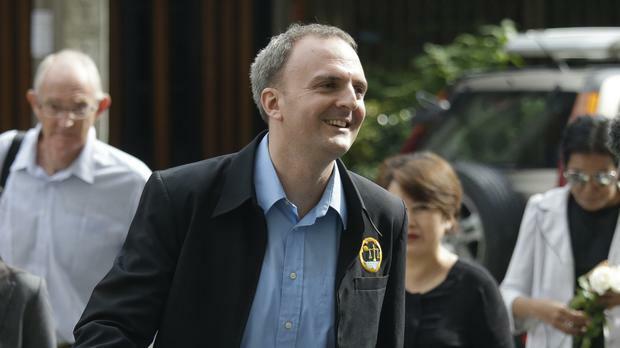 A Thai court has convicted a British activist of defaming a fruit canning company. The Bangkok South Criminal Court found Andy Hall guilty of criminal defamation against Natural Fruit Company Ltd in connection with a 2013 report he researched for Finnish consumer agency Finnwatch that alleged workplace abuses at the company. The case has been seen by critics as an effort to intimidate human rights workers and activists. Mr Hall has been active for several years in Thailand in workplace rights advocacy, especially involving migrant workers. He was also found guilty of violating the Computer Crimes Act because the information was posted on the internet. He was given a suspended sentence of three years with a probationary period of two years, and a fine of 150,000 baht (£3,300). He is expected to appeal against the ruling, but will be in the court’s custody until the fine is paid. Two civil actions by the company against him are pending. The court originally sentenced Hall to four years in prison and a 200,000-baht fine, but reduced the sentence because he co-operated with the court and had no previous criminal record. Lawyers and right groups have long been critical of Thailand’s criminal defamation law, which is seen as inhibiting free speech. In a statement earlier this week, Amnesty International called on Thai authorities to remove criminal penalties for defamation and “ensure that such charges are not used to restrict the right to freedom of expression”. Sonja Vartiala, executive director of Finnwatch, said her organisation was “shocked by today’s verdict”. “The report was authored and published by Finnwatch; we take full responsibility for it,” she said. Finnwatch was not sued, nor was the Al Jazeera news network, to whom Mr Hall gave an interview that was the basis for part of the cases against him. “This is a sad day for freedom of expression in Thailand. We fear that many other human rights defenders and victims of company abuse will be scared to silence by this ruling,” Ms Vartiala said. Britain’s Foreign Office stated its concern in a statement issued after the verdict. “The UK supports the right of Human Rights Defenders to raise concerns about human rights violations without fear of reprisals or legal action to prevent public participation,” it said.